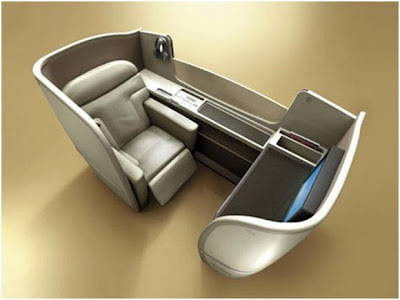 Do you have any idea which international airlines offer the plushest service and the most perks in first class? I’ve done the dirty work and present to you some of the best air accouterments short of a private plane. 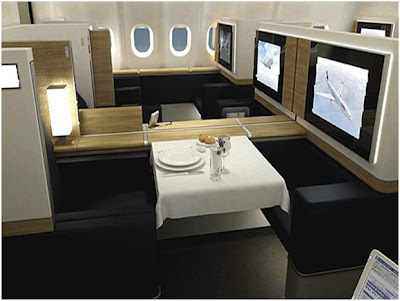 So the next time you plan for an air travel you might want to consider to have some luxurious time in one of these fabulous cabins. As a passenger, you’ll feel like a million dollars too. And while we’re throwing numbers at you, 500-channel entertainment systems have been introduced. The best is yet to come, and you’d better believe it’ll be fine: A full shower with dressing area in your private cabin. 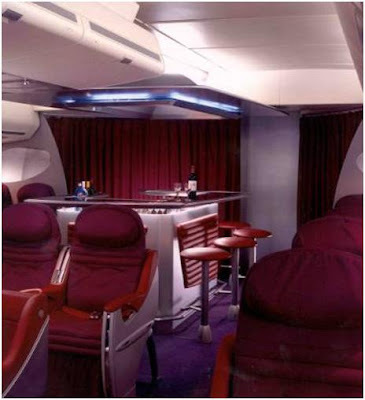 Rolls-Royce aircraft engines are legendary, and you’d swear the company had an influence on British Airways’ cabins. 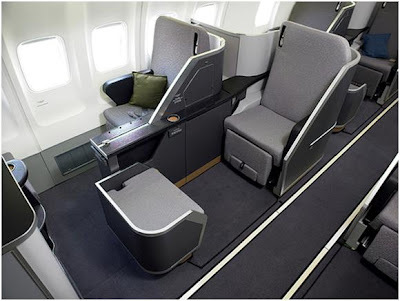 BA’s luxurious first-class “demi cabins” multitask to serve as workspaces, dens, and even places to stretch and sleep. 21 square feet of space per passenger is unheard of, but it’s a reality on Eos. Score one for the personal space lover. Eos Airlines has room for 220 on its 757s, but it only allows 48 lucky souls aboard. 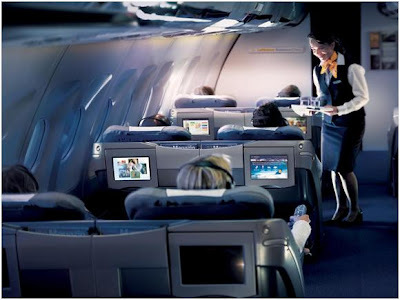 Each passenger’s multifunctional seat is a joy to occupy across the Atlantic. 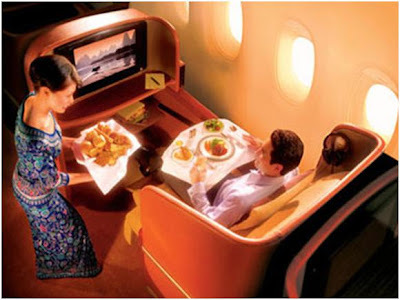 If you’re flying first-class on Cathay Pacific you’ll surely wish the flight was longer. 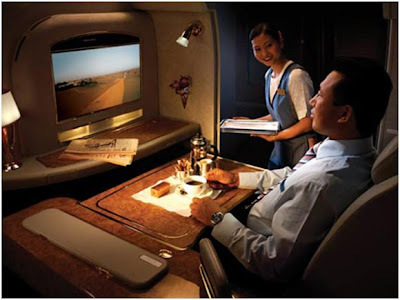 In 2006 Air Transport World magazine’s Airline of the Year honors went to Cathay. JAL has been a leader in first-class comfort, and apparently for a long time now. They equip you with adjustable headrests and side cushions, down pillows and comforters and you can also enjoy the built-in massage feature in the seats. 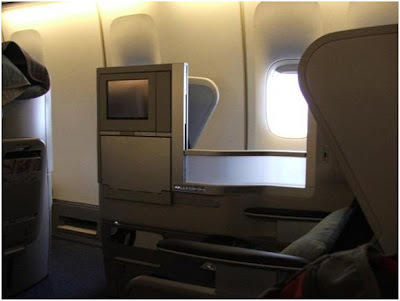 Adjustable privacy screens between seats, generous room to stretch. 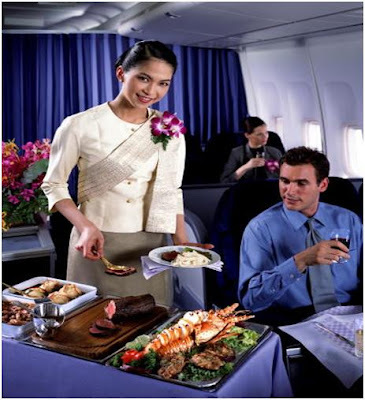 Chefs and sommeliers continuously update their onboard cuisine and wine selection. Luxury is all they got. It has Bvlgari toiletry kits and Givenchy-designed sleeper suits. There is also a “Book the Cook” service which allows a meal selection in advance. One gets the feeling of being in a big Bentley with wings rather than a plane. Swiss has a longstanding reputation for courtesy and efficiency, and so far their reputation remains solid. All the expected luxury appointments and services are present. Btw two onboard cameras let you watch the world in front of the aircraft as well as below it. Considering Sir Richard Branson is at the company’s helm, you’re going to get your money’s worth and then some. 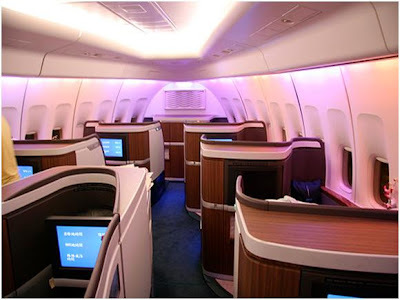 You’ll love the pampering, including the surprisingly roomy beds, which convert from your seat.